At the time of the IPO on October 7, 2010 the price of ICBP shares was set at Rp. 5,395 per share, so to get 10,000 pieces you had to spend funds worth (10,000 pieces x Rp. 5,955) = Rp. 53,950,000. 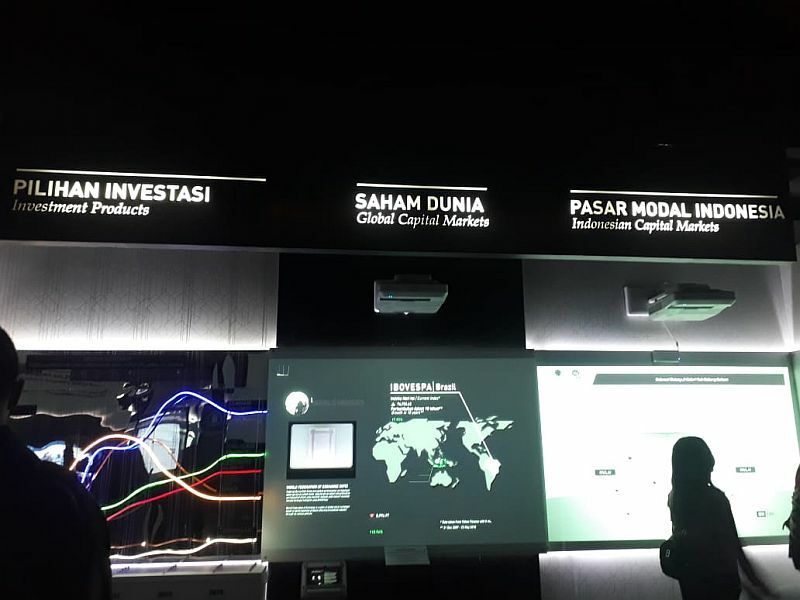 ICBP Book Value (BV) itself at the time of the IPO is Rp.415 / share, so the capital of Rp53,950,000 that you spend for 10,000 shares of ICBP is 13 (thirteen) times more expensive than the real value of the company which should only be Rp4 .150,000. On July 26, 2016 ICBP conducted a stock split with a ratio of 1: 2, meaning that every 1 share before the stock split is exchanged into 2 new shares after the stock split, therefore the number of shares you have after the stock split becomes as much as (10,000 pieces) x 2) = 20,000 sheets. In the span of 8 (eight) years, ICBP routinely distributed dividends, namely in the period of 2011, d. 2016 (before the stock split) amounted to Rp1,170 / share, so that in that period you get dividends in the amount of (Rp1,170 x 10,000 pieces) = Rp11,700,000. 2017 period d.d. 2018 (after the stock split) ICBP distributes dividends in the amount of Rp.285 / share, thus the dividends you get in that period amount to (Rp285 x 20,000 pieces) = Rp.5,700,000. The total amount of dividends you receive for 8 (eight) years in total is (Rp. 11,700,000 + Rp. 5,700,000) = Rp. 17,400,000, therefore your investment capital in ICBP which was originally Rp. 53,950,000 has returned to Rp. 17,400,000 so that the capital now only Rp. 36,550,000 is embedded with the same number of shares, namely 20,000 pieces (post stock split). After your investment in ICBP has been running for 8 (eight) years, what are your assets at ICBP now? what is the ICBP market capitalization on the stock that you have? We count and examine. a. Book Value (BV) ICBP shares per quarter III-2018 (September 30, 2018) amounting to Rp1,880 per share so that your equity in ICBP is worth (Rp1,880 x 20,000 pieces) = Rp37,600,000. With your investment capital in ICBP of Rp. 36,550,000, your investment has made a profit (Rp. 37,600,000 - Rp. 36,550,000) = Rp1,050,000 or 2.87%. ICBP's own equity growth for 8 (eight) years reached 453.01%, up from Rp415 per share to Rp1,880 per share, or an average increase of 56.63% per year. Obtaining your profit based on an increase in BV of only 2.87% for 8 (eight) years is of course very small compared to the increase in BV ICBP, but this becomes reasonable considering that when you first invest in ICBP you buy it 13 (thirteen) times more expensive than the price should be. b. The total ICBP liabilities / debt obligations per quarter III-2018 (September 30, 2018) amounted to Rp 11,896,918,000,000 so that the liabilities / debt obligations per ICBP share were equal to Rp1,020.15. Thus the debt that is borne by you for 20,000 shares of ICBP is equal to (Rp1,020.15 x 20,000 shares) = Rp20,403,000. When compared with your equity of Rp. 37,600,000, if ICBP is declared bankrupt and repays all its debt (by selling assets), you do not bear the debt, you still get a difference of more than Rp. 17,197,000. If the above conditions really occur, of course you will incur a loss of (IDR 36,550,000 - IDR 17,197,000) = Rp. 19,353,000. However, considering that ICBP is one of the best companies in Indonesia, the possibility of ICBP bankruptcy is almost impossible. With a broad market niche and stable economic conditions in Indonesia, ICBP's future performance will certainly increase. That the market capitalization / MC (IC) value of ICBP that you have dynamically follows the movement of stock prices on the exchange. At the closing of the last day of the exchange in Quarter III-2018 (September 28, 2018) ICBP shares are valued at Rp.8,825 / sheet, then the MC value of your ICBP shares at the same time is a sum (Rp.8,825 x 20,000 pieces) = Rp.176,500,000. If on September 28, 2018, you sell all ICBP shares that you have at the closing price of the exchange day, then the profit you earn is (Rp. 175,500,000 - Rp. 36,550,000) = Rp. 139,950,000 or 382.90%. You get an average profit of 47.86% per year. Even if you have just sold all of the ICBP shares that you have at the close of the exchange day on November 30, 2018 at the price of Rp9,850 / sheet (when this article was written), you get a profit of (Rp9,850 x 20,000 pieces) - Rp36,550,000 which is equivalent to (Rp. 177,000,000 - Rp. 36,550,000) = Rp. 160,450,000 or equal to 438.99%. The profit you get is an average of 54.87% per year. This figure is much higher than for example if you invest the funds in the form of deposits in banks whose returns are only in the range of 5-7% per year. a. The initial investment capital of Rp. 53,950,000 has returned with cash dividends of Rp. 17,400,000 so that your investment capital in ICBP is now only Rp. 36,550,000.
b. Your assets at ICBP per Quarter III-2018 (September 30, 2018) amounting to Rp58,003,000 (158.69% of initial capital) consist of equity of Rp37,600,000 (102.87% of initial capital) and liabilities / debt obligations of IDR 20,403,000 (55.82% of initial capital). c. The market capitalization of your ICBP shares is exchanged per Quarter III-2018 (September 30, 2018) in the amount of Rp.176,500,000 (482.90% of initial capital). d. The market capitalization of your ICBP shares on the exchange on 30 November 2018 amounted to Rp.197,000,000 (538.99% of initial capital).